Do you love nail polishes and nail art? So do I! I’m Ina and I live in Sweden. I’ve been running this blog since October 2010 publishing more than 2100 posts, writing guest posts for a Swedish beauty online store named Eleven and publishing a couple of nail related books. It all began with a couple of nail polishes and then a couple more, until I’ve realized that I changed my nails so often that it would be nice to have it all documented as a blog. That’s when I started the blog My Nail Polish Online. After a couple of years of showing NOTDs, I started the nail art journey. What a joy that was and still is! From simple dotticures and animal prints to water color paintings, the combinations are endless. I’ve also participated at different nail art Challenges through these years, the biggest and most demanding one being the 31DaysChallenge where you show a nail art daily based on a predefined theme. My posting schedule right now is every Sunday, Tuesday and Thursday and I’m switching between posting swatches and nail art randomly. 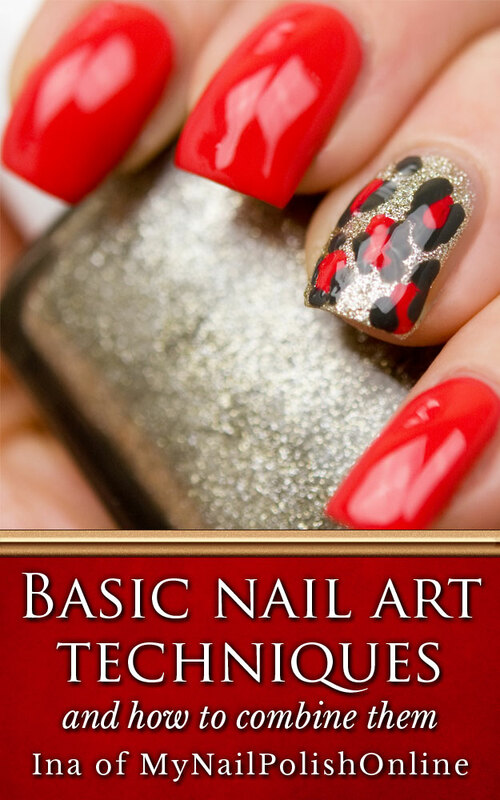 The book presents 26 nail art techniques suggesting both color combinations and how to combine the different techniques. The book is available at Amazon both on Kindle and as a paperback. 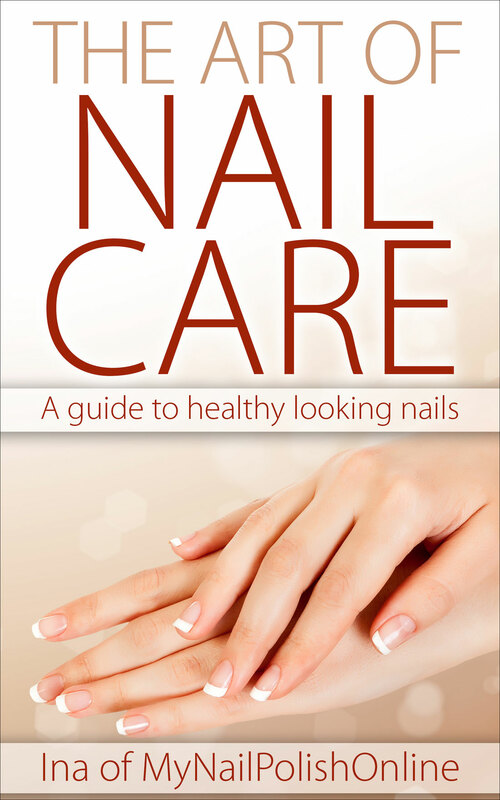 In this book I talk about how to take care of your nails, your nail tools (scissors, files etc) and how to make home-made DIY treatments for your hands and nails. I would love it if you would say hi. Your nail art is wonderful. But I thought you would like to know that someone is taking your pictures and posting them on instagram without giving you credit. User is sunshine_nails and you can see one of your pics here: http://instagram.com/p/WGMrKyBmFN/. There are quite a few people trying to stop the theft of pictures without giving credit to the owner. Seems like I can’t leave comments on your posts lately. Have you been having problems?